Located in the center of Europe, Poland is one of the largest and most populated countries in the region – sixth in the European Union (EU) by population, and ninth largest in Europe by area. Poland has had strong economic growth in current time, particularly after joining the EU in 2004; in the middle of the economic crisis of 2009, Poland was the only European country to proclaim economic expansion. Poland’s cultural heritage is incredibly rich as the history dating back for over a thousand years, This includes its longstanding traditions of providing quality education in the higher education sector, with the first university in Poland established in the 14th century. Now, Poland is growing frequently more popular in terms of study destination, with more than 45,000 foreign students preferring to study there. 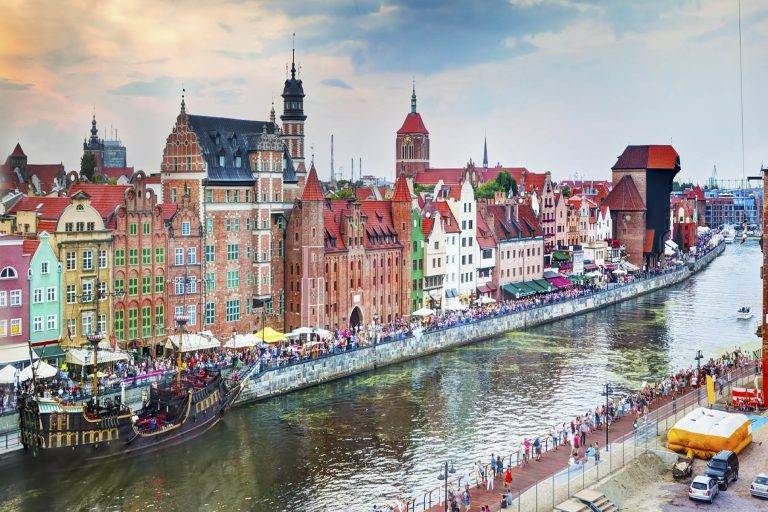 For many of those individuals who prefer to study in Poland, the country’s charm is grown by its moderately low living costs, which remain under those of most EU members. Furthermore, University fees are comparatively low, in general no more than US$4,000 per year. Though the Polish have a long-standing records of providing quality education that has not just been beneficial to themselves for more than 650 years, but also has proved advantageous to the world, the system has experienced a prompt change that defines most of the educational courses to be divided into three stages, Bachelor (Inżynier, Licencjat), Master (Magister), and Doctor (Doktor). Though, there a few programs like Pharmacy, Law, Veterinary Medicine, Psychology, Medicine and Dentistry that still have just two levels, Master and Doctor. The following are some of the uncommon features that seem to draw students from all over the world when think about getting the quality education. Many programs that are proposed by universities can be pursued at just around 2500 to 3000 euros per year. In some situations where the rector of the institute sees fit, these fees are also decreased or even ultimately waived off. Despite Polish is the main language, scholars do not need to know Polish to get there degree from Poland since most of the programs offered are taught in English. All foreign students can take the advantage of scholarships through the International Exchange and Bureau for Academic Recognition who come to study in Poland. Since Poland is located in Central Europe, students can avail of traveler visa and travel to other places which may help in heightening their outlook of the world. Preserving a rich history of 650 years, Polish institutes can offer the best of their expertise coupled with a modern outlook, particularly for scholars who study Engineering in Poland. Not just education and learning, but even overall living is very affordable in Poland. On an average, scholars can stay comfortably by spending between 2200 to 3200 PLN per month. All of the above-written points may answer one of the most important questions of Why Study Abroad in Poland. The Rank of the University remains same by the results that the University achieves in yearly rankings. Wroclaw Institute of Technology is a research organization and a technical institute. The purpose of training students is not only to provide them with needed experience but also with creative and critical thinking. The Institute mainly carries out its mission by the quality models in scientific research and also provide the high class of education which is accustomed to labour market requirements. To get admission to a Bachelors program studies in Wroclaw Institute of Technology, students whose education have been done outside Poland needed to show the secondary school mark sheets and certificate granting the holder access to a Bachelor program in the Wroclaw Institute of Technology. To get admission to a Bachelors program studies in Wroclaw Institute of Technology, students whose education have been done outside Poland needed to show their Bachelor degree, usually in the field related to their proposed studies, in case of program for 1.5 year long degree programmes which is equal to the Polish inżynier degree respectively, granting the holder entree to a Master’s course in the Wroclaw Institute of Technology. Usually, the entry requirements to get admission to a Ph.D. degree program in Wroclaw Institute of Technology, students whose education have been done outside Poland needed to show their Master’s degree, granting the scholar access to a Ph.D. program in the Wroclaw Institute of Technology in the educational system of which the issuing institution operates, issued by a recognized institution. Among many famous and reputed universities, Warsaw Institute of Technology is the rising name. With a diversity, of course, Warsaw Institute of Technology is geting its popularity. The Warsaw University of Technology is one of the greatest institute in Central Europe. Besides of being the oldest Warsaw Institute of Technology is the best university in Poland providing quality education, it has taken the first position in this category for nine years. At Warsaw University of Technology, more thab 180 students organizations, associations, and research groups are active, and the educational courses offered in more than 30 fields of study. The Declaration Certificate and, if asked, the letter validating that this certificate entitles the candidate to be admitted to an academic institution must be recognized by the Polish Foreign Consular office, or a Service representative office. This certificate required to be attached to the sent documents. The last date of receiving application is 15th August for the Winter Semester and 5th January for the Summer Semester sent with the copy of fee payment application will be ordered as valid submissions for the academic year starting from October or in February, respectively. Candidate will get the invitation from the university. For overseas students need an entry visa a letter to the Polish Consulate or Embassy supporting the visa form which will be provided by the university. a certificate of long-term health insurance. The Bialystok University of Technology (BUT) is the well-known university that provides high-quality education in the north-eastern region of Poland. The Bialystok University of Technology is a modern dynamically growing foundation with more than 60 years of expertise in training technologists and scientists. The Bialystok University of Technology is a technology locus of the Poland. Graduates from The Bialystok University of Technology are in demand in the labour markets of Poland and elsewhere in the world. The Bialystok University of Technology consists of mainly seven faculties (Mechanical Engineering, Electrical Engineering, Civil and Environmental Engineering, the faculty of Management, Computer Science, the faculty of Architecture, and Faculty of Forestry) with more than 12,000 scholars and 690 scholarly teachers. On the region of the main university, you get the benefits of the Student Residence Halls, the Center for Modern Education, Academic Sports Centre, INNO-EKO-TECH Centre and Academic Incubator of Entrepreneurship. The training course are consists of three cycles or degrees in full-time and part-time modes. The Bialystok University offers around 30 studying courses. Ph.D. or third degree of (8 semesters Ph.D.: civil engineering, architecture and urban planning, computer science, electronics, electrical engineering, environmental engineering, mechanics, machine design and maintenance). Vistula University, one of the best reputed private institutes in Poland, was established in 1996. Vistula University has committed itself to providing an excellent education and research institution. Vistula University situated in one of Europe’s most attractive and fastest growing capacities, it has a unique international environment with scholars coming from 43 different nations over the world. Vistula University offers educational programs in both Polish and English languages for the best of overseas students. Currently, Vistula University offers courses in 23 academic disciplines that include BA, BSc and MA programs, MBA, Ph.D. in Economics and more than 30 PG courses. A variety of support are available for overseas students comprising introductory intense language courses, sightseeing tours, career planning, and internships, information bureau and business incubator, sport, cultural events and scientific clubs, adaptation programs, lodging and bureaucratic assistance; all provided within Vitsula University beautiful campus. Vitsula University gives the chance for scholarships and tuition fee waivers to skilled students. Just a small 55 meters distance from the train station, Vitsula University campus is easily accessible from anywhere in the city. Within a 25000m indoor area, there are 7 computer labs, a rich library, 8 auditoriums, a fashionable cafeteria, 60 lecture halls, Olympic sports hall, and gyms. Outdoor areas include underground parking, tennis courts, and general relaxation facilities. There is free on-site medical service available for all students and faculty. University’s Sports Association makes a wide range of sports projects for the students. Note*Application form should be filled readably/clearly/ in all capital letters or typewritten. All questions needed to be answered, with no line or space left blank. Marital status of the student should be clearly filled. Forms with any sort of overwriting or correction will not be accepted. The application form must be individually filled by the applicant. Current Passport- Validity of the passport should be for at least three months from the date of expiry of Polish visa issued for the applicant. Passport needs to contain at least two blank pages for visas. A photocopy of passport pages with personal data. Approval letter from the University. Proof of the tuition fee payment at least for one year (long-term study) or one semester (in the case of short-term courses). Certificate of educational skills (Mark Sheet and Certificate of class 10th, Mark Sheet and Certificate Class 12th, in the case of PG Course degree of graduation), all must be attested by MEA. Documents verifying sufficient financial means for study in Poland. A bank account detail in the name of the student, if have. (Minimum amount 10-12 lacks needed to show). Police Clearance Certificate should be legalized which shows no criminal record. Insurance policy for 29,000 euro for 1 year. Passport photographs or as per required on photo for the visa.